Nokia is all about the big screens today. It announced its first Windows tablet, and now, we have the first Windows Phone phablets. At its Nokia World event in Abu Dhabi today, the Finnish phone maker showed off the Lumia 1520 and Lumia 1320. Both feature six-inch touchscreens and ship with the latest Windows Phone update, which adds support for large, high-resolution displays, quad core chips and adds another column of tiles, among other things. Both gargantuan phones are expected to ship by the holiday season, but they’re intended for two different audiences. The Nokia Lumia 1520 was designed as a top-tier flagship device and comes with a corresponding price tag of $749 unlocked. AT&T has already said it will offer the smartphone later this year, but the carrier did not announce pricing at this time. 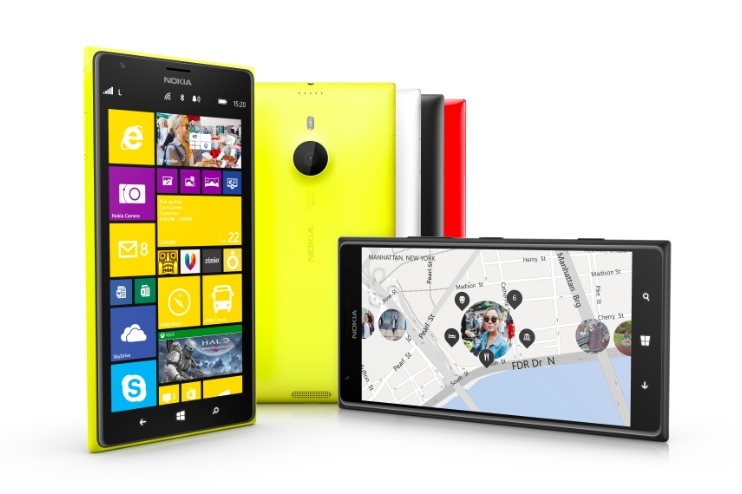 The Lumia 1520 has a six-inch full HD touchscreen, and is powered by Qualcomm’s quad-core Snapdragon 800 processor. 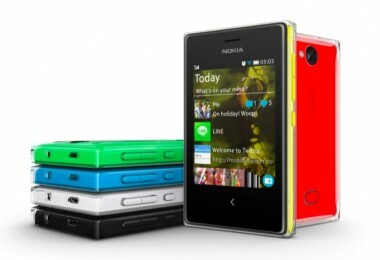 It’s also packing a 20-megapixel PureView camera with advanced features, including a first for Nokia’s cameraphones. The Lumia 1520 will be the first model to ship with a refocus lens feature that allows you to refocus an image after you’ve taken it, much like the Lytro camera. The feature works by taking multiple shots of the same image and then layering them together, so you can tap on different points of the photo to bring that part into focus. Another new app called Nokia Storyteller will group images in your photo gallery by chronological order and location and can overlay them on Nokia’s Here map application. Other features of the Lumia 1520 include wireless charging capabilities, 4G LTE support and 32 gigabytes of internal storage with a microSD expansion slot. Meanwhile, the Lumia 1320 is aimed at bringing the big-screen experience at a more affordable price. It will most likely be sold in emerging markets where people are looking to buy devices that offer a tablet-like experience but without the costs attached to one. Unsubsidized pricing for the phone is $339. The biggest differences between the two devices are the screen resolution and camera. The Lumia 1320 has a six-inch 720p HD touchscreen (versus 1080p), and it has a five-megapixel camera. The Snapdragon processor also drops from a quad-core to a dual-core chipset. While both devices are relatively thin, they are still large phones — the kind that look ridiculous when held up to your face during a phone call (a la Samsung Galaxy Mega). But for Nokia, the jump in screen size was a necessary and calculated move. Beyond the devices themselves, Nokia also spent part of the event revealing a host of new apps available for the Windows Phone platform, including the long-awaited photo-sharing app, Instagram. It’s not out yet, but the companies say that it will be available in the coming weeks. Vine, EA Sports FIFA 14, Temple Run 2 and Xbox Video are among some of the other upcoming apps. Finally, Nokia also introduced three new models to its Asha range of low-end feature phones: The Asha 500, 502 and 503. They will retail for $69, $89 and $99 respectively, and feature new designs, easier camera access and new apps like WhatsApp. The 503 is also the first 3G phone for the Asha line.